Tuesday | September 25, 2018	Indulge in the world of dessert paradise for sweets lovers this September with Bakerzin new creations, Mango Parfait and Chocolate Parfait! Featuring peach fruit cube and mango jelly atop soft genoise sponge cube. Topped with layer of vanilla mousse and passionfruit glaze. Dig into the world of mango madness with Mango Parfait. Chocolate lovers, be enchanted with Chocolate Parfait. Chocolate praline cube in between layers of chocolate mousse, topped with crunchy oreo crumb. 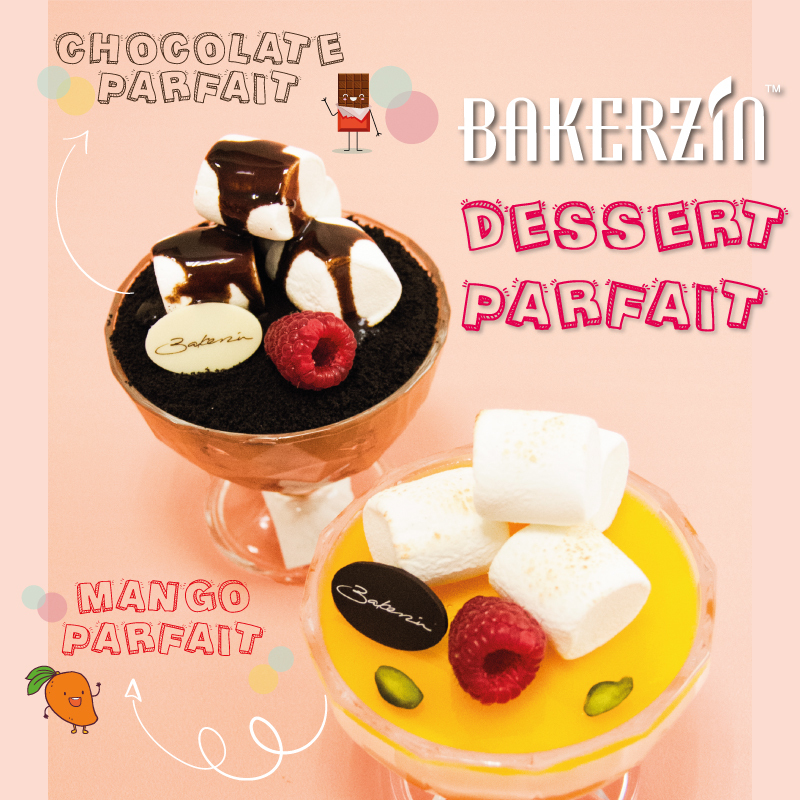 Dessert Parfait will be available at Bakerzin United Square and 18 Tai Seng for a limited period! Visit us today!